So what could we do without any board games to play. 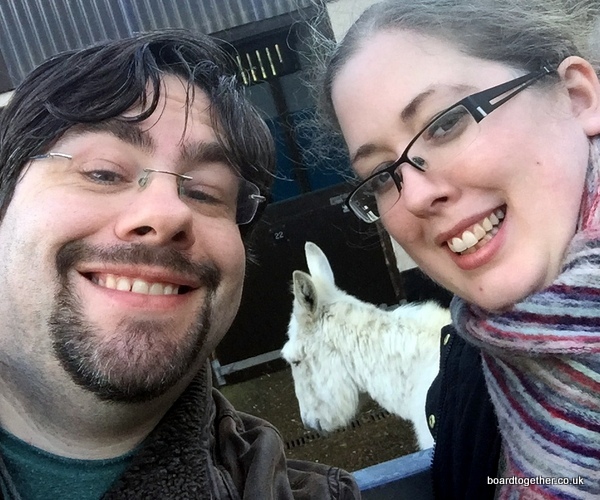 Well we went to the Donkey Sanctuary. As you can see the donkeys were really happy to see another set of Humans. No seriously that was the most happy looking the donkey we saw. Then we went to visit Lyme Regis, it’s a wonderful seaside town full of back streets and wonderful little shops. A wonderful little shop full of writing instruments. I picked up a small pen for my back pocket with a writing journal. Tamz, being all graphical, picked up a feather quill and dipping ink. If you visit the Town Mill there are a couple of places it try. The first being a visit to the Courtyard Cafe. The cakes are so amazing that Tamz asked for the Peach Cobbler receipt and I recommend the Fruit Cake. The staff offered such amazing service we went back for lunch and were not disappointed. Then after you have been to the cafe visit the Lyme Bay Brewery. There was plenty of choices of ales and you can try samples which were on draft. The occupier was incredibly helpful and we walked away with a few bottles. The only disappointment was the Cheese Monger had just closed up shop for good and I do love a bit of cheese. So, in truth we could not distract ourselves for long and started to panic. On to the web we went to see if there was any board game shops near Lyme Regis. I know, we have a problem. 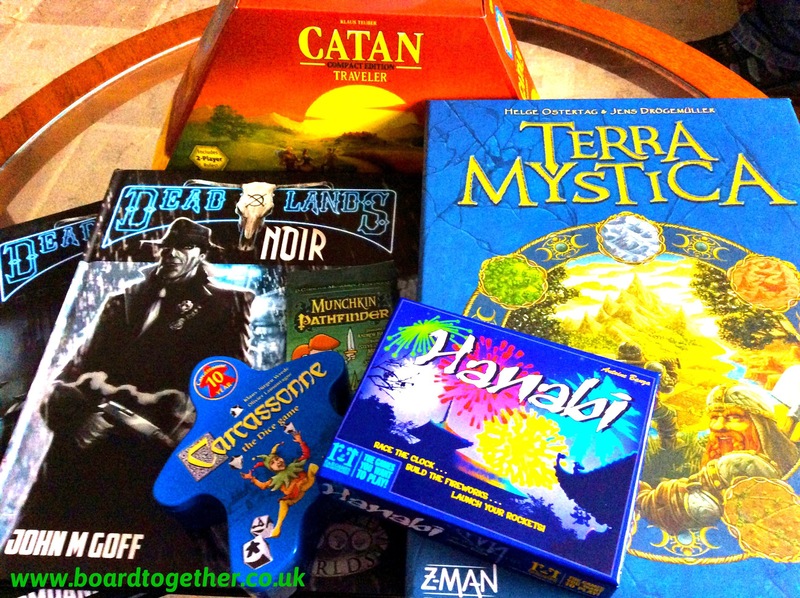 Turns out there was a game shop in Exeter that could suit our needs, so we packed the car and headed to Clifton Road Games (website). We were not disappointed. From the look of the website you are not sure what to expect, but we were impressed. There’s a ton of products in the shop with shelves full of board games, card games and roleplay books. The staff member was very helpful and knew the stock well and could answer if there was something in store. There are gaming tables available to tryout your new purchases. If you’re ever near Exeter and fancy picking up a few games, this is where I would head. Here’s what we picked up, or as Tamz likes to call it “Our Little Haul”.